As the first bites of winter start to gnaw and the trees loose the last of their foliage we are entering the time of short daylight and grey skies. 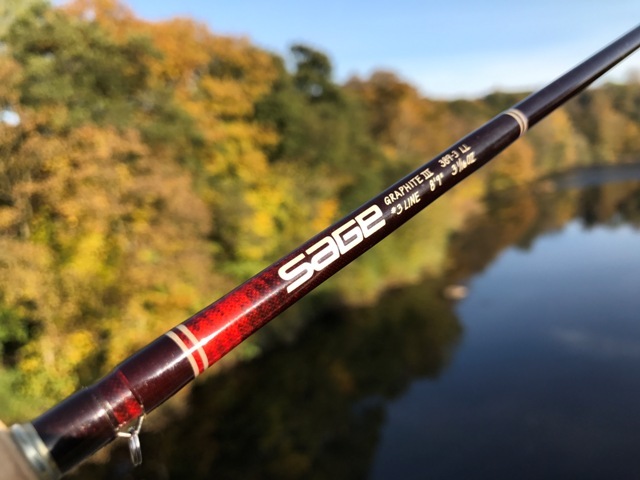 Before then we might have one final outing with the dry fly rod in glorious autumn colours. 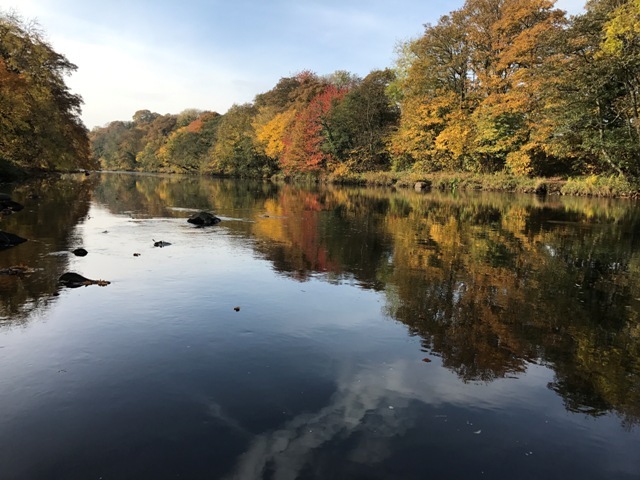 This year we were indeed blessed with an Indian summer which lasted throughout October. The weather like the season is now entering a period of change. 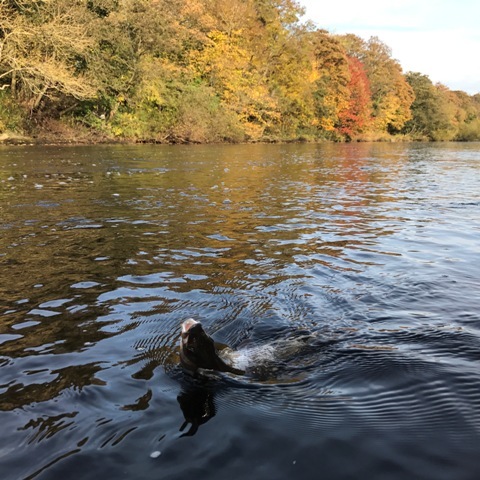 My last outing with the dry fly rod was completed and pictured at the end of October. The fishing itself was tough. Weeks of settled conditions with no hatches to speak of. The grayling were therefore in the gravel tails of large pools. This is an opportunist surface feeding mechanism and in the tails the grayling get the most fetch for any beasties/flies on the water. These either fall in by chance (land based terrestrials) or are tiny midge (chironomids) that hatch throughout the year but we as river anglers tend to ignore them because they are about the size of a full stop. 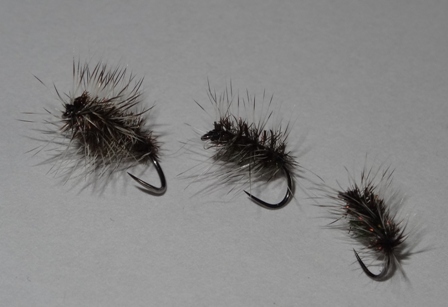 For this reason the Griffiths gnat is one of my go to flies for tail rising grayling. It is a great imitator of midge and all this tiny stuff in the surface film. Because of disparate currents and difficult approach catching grayling in pool tails on dry fly is tricky. Grayling will not take a dragging fly readily if at all unlike our friend the brown trout. This is where presentation is paramount. I’m a great believer in furled leaders aiding presentation by preventing drag. It is impossible to cast a furled leader pencil straight and its flexibility to the currents keeps the dry fly as drag free as possible. When everything is right the grayling will take dry flies quite readily in Pool tails as demonstrated in this You Tube Clip. On my last outing however grayling were very dour and I only managed half a dozen fish on dry fly in 3 hours fishing. Still it was a glorious day to be on the river as the pictures show and the challenging fishing made it even more so. In all honesty a light breeze would have brought a trickle of leaf litter with its bugs and a few more rising fish. But I would not have swapped that for this windless perfect late autumn day. 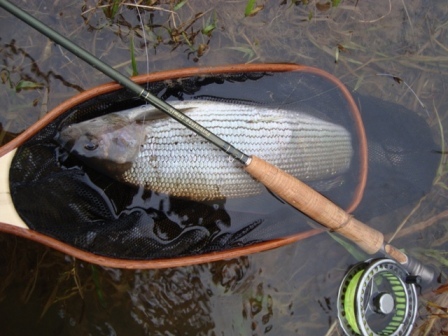 A pretty dry fly caught grayling comes to hand! With the last of the dry fly action over it is time to enter the three dimensional world of nymph fishing. There are two methods of presenting nymphs to grayling. Short fixed line nymphing often referred to as Czech or Polish nymphing and under an indicator. It is to the latter that I am going to pay a lot more attention to this winter. It is in fact possible to use the Czech or polish technique at range under an indicator. Indeed this is an increasingly popular technique used by competition anglers referred to as fishing the bung. The bung being a buoyant fly (its loosest interpretation being a piece of red high viz foam with a hook in it). I have no problem catching grayling using the “traditional” European style nymphing techniques but the indicator technique at range has a lot of potential especially regarding covering water in winter. Like any method its set up is critical. For the indicator technique to work like a Czech nymphing technique the point fly must be the heaviest and be tripping the bottom. Not enough so it continuously drags the indicator under the surface but enough to slow and register on the indicator as a series of “ticks”. The point fly is the sacrificial fly. It is sacrificed along the very bottom to ensure that the catching fly (e.g. Polyphaetis, flashback caddis etc) is in the optimum zone which is a few inches off the bottom. The point fly tripping the bottom creates a sink draw action in the catching nymph rather like an induced take. This is why the rigging of this outfit is so critical. Several droppers are tied around the floating fly/indicator so this can be moved and adjusted for different depths. Many reading this may find the idea of fishing an indicator unpalatable though probably not our friends from over the pond who tend to be far more pragmatic over such issues. I am more concerned about developing the technique for increasing catch rates and for fishing hitherto unreachable sections of river. River fly fishing techniques rather like this season change. We can choose to ignore such developments or adapt them into our armoury. Good look with your nymph fishing this winter.